Am I a member of the UPFFA of Connecticut? The Uniformed Professional Fire Fighters of Connecticut takes pride in what it has done on behalf of fire fighters in Connecticut. We are proud to claim Sixty (60) IAFF locals in Connecticut as affiliates. Are you a member? If you are a member of one of the IAFF locals on this page, the answer is yes! The following locals are members of the U.P.F.F.A. If your local is not here - call the U.P.F.F.A. for information on how to join. If you would like your local's website or email linked here, please inform the UPFFA office. 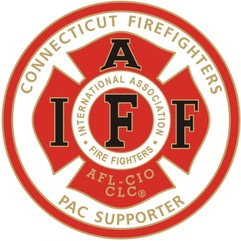 Locals who are not affiliated with the UPFFA do not contribute or support the mission statement of the Uniformed Professional Fire Fighters of Connecticut and the recommendations of the International Association of Fire Fighters.